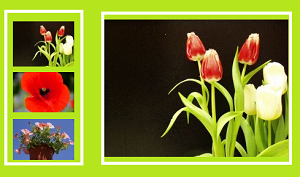 In this tutorial, we are going to display image using jQuery auto slideshow. In the previous tutorial, we have seen an example for DIV auto load and refresh using jQuery. We are having a list of images to be displayed in a slideshow. jQuery fadeIn()/fadeOut() functions are used to show image slides one by one. This code contains a list of images in a div container. This function show and hide the list of images in a periodic interval by using jQuery fadeIn() fadeOut().